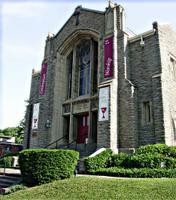 Yesterday Kelly and I had the opportunity to meet with the folks at the Walnut Hills Christian Church. The congregation was voting on the proposal by Echo Church to rent out their building on Sunday evenings as a meeting space. We were able to get down there to the church just after their service had started. I was excited for Kelly because this was her first opportunity to view the inside of the building; she later agreed that it was indeed a blessing to have found this place. We made our way to a pew in the middle of the sanctuary and joined them in their time of worship. I'll admit, it was a sparse crowd. There were twenty-four people there, including us. The people of the Walnut Hills Church would admit that they've been struggling as of late to find out exactly what God has called them to do. At such a discouraging time in their history, having a new church ask to move in and use their building could sound rather intimidating. But they embraced us with open arms. Literally. After the service, it seemed everywhere we turned we were getting hugged. After the service we were invited to have lunch with church members in their fellowship hall; every week they have a meal after their service in case somebody of the street comes in and needs food. It wasn't something that we had planned on, but it was a good time. We sat at a table with people who have been at the church between twenty and fifty years. One of them said that even though their numbers aren't what they used to be, the spirit in the church is much better. It was enlightening to hear their perspective on how things were going. So when it came time for the vote, they asked me to say a few words and answer some questions. I just laid it all out there: that we have no idea what we're doing, but we know that God was calling us to do something in that neighborhood. There were a few softball-like questions that followed ["Now what denomination are you?"] and that was it. When it came time for the vote, Kelly and I stepped out into the sanctuary and sat in the pews. We sorta looked around at the empty room. I asked her, "Can you see it?" and she nodded. I guess if I were really marketing the Echo Church concept, I would've asked, "Can you hear it?" but I missed out on that one. After only a couple of minutes the chairman of the board came out and told us it was a unanimous vote: they're giving us [at least] a year to have our services there. It was an unforgettable experience. Once again, God moved and we were right there watching. So with this out of the way, we can proceed with our first core meeting for Echo Church. If you're interested [or know of people who might be] in joining us on the ground floor of our new church, let them know. 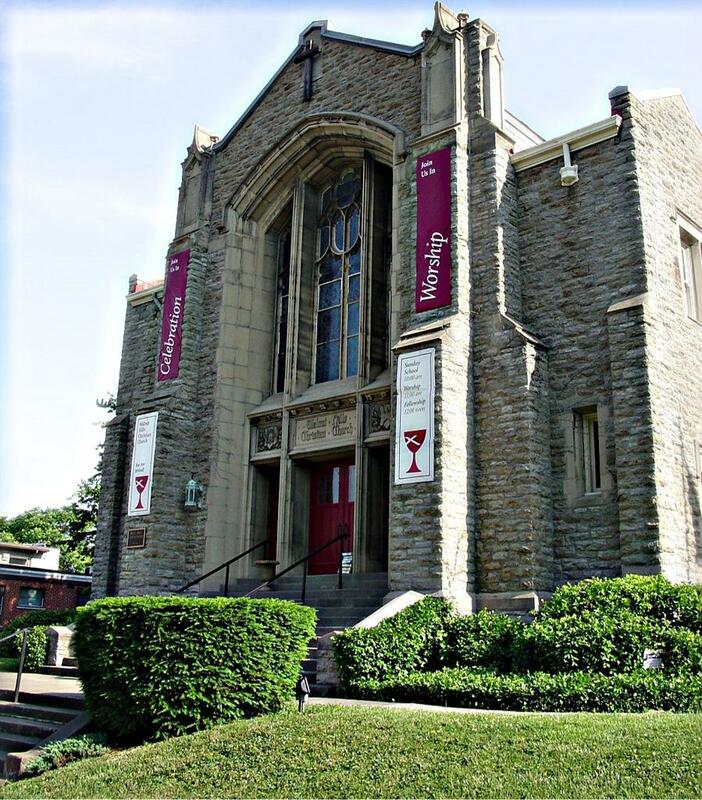 It's going to take place next Wednesday night [August 31st] at 7pm at the Walnut Hills Christian Church on 1438 East McMillan Street in East Walnut Hills. Yep, that's where we'll be meeting.